Keep everything bright this season with this crop top. 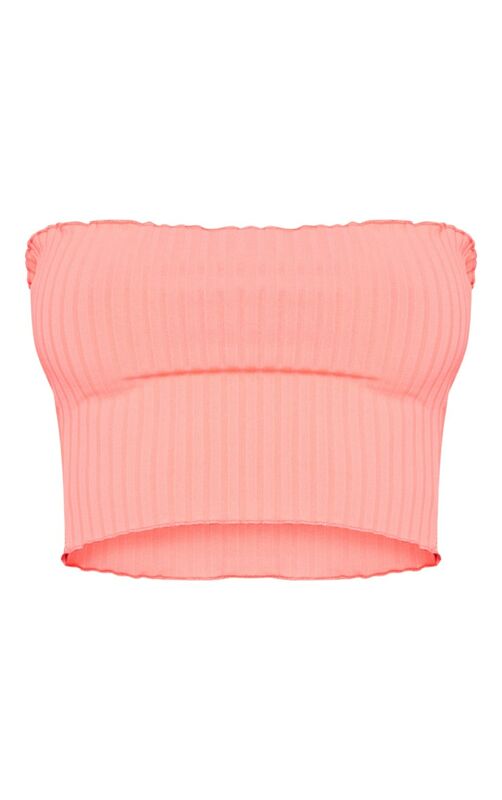 Featuring a hot pink ribbed material with a frill hem and a bandeau neckline. Team this with a bright skirt and matching jacket for a look that's sure to get you noticed.